Take out dal water.For that cover the vessel and drain.Allow 1 tb.sp. dal also. Boil, stirring in between.After a boil simmer for 5 min.This is OSAMAN. 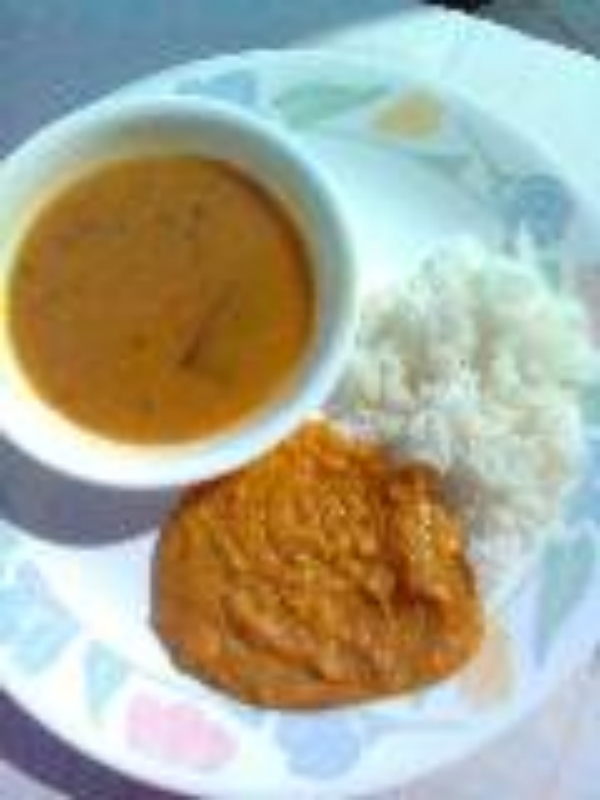 Take the thick dal, add turmeric pwd+ salt + red chilly pwd(optional) + tempering of ghee + mustard seeds + asafotida. This is chutti dal. For variation add grated cucumber or musk melon. Sorry! Please add gram flour at stage 3.